Professor Andrew Brown is part of the Institute for Life Sciences at the University of Southampton. Andrew Brown currently holds an established chair in Electronics at the University of Southampton. He received a BSc in Physical Electronics from Southampton in 1976 and a PhD in Microelectronics in 1981. He held brief posts as research fellow and computer manager in the Electronics Department at Southampton before being appointed a lecturer at the end of 1980. He was promoted to Senior Lecturer in 1989, Reader in Electronics in 1992 and to one of the established chairs in 1999. During his time as an academic, he has spent numerous secondments and sabbaticals working in industry. 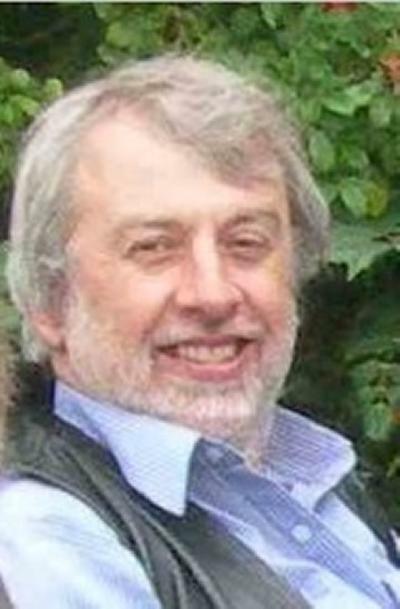 In 1983 he was appointed a Visiting Scientist in the Machine Technology group at IBM Hursley, UK, working on electronic place and route systems for uncommitted logic arrays. In 1985, along with three other academics, he founded Horus System Ltd, an EDA startup (backed by Cirrus Computers) to exploit simulation technology developed at the University. In 1988, he worked at Siemens NeuPerlach (Munich, Germany) on a micro-router for their in-house VENUS EDA suite. In 1995 he was awarded a Senior Academic in Industry secondment to work at a small communications company, MAC, developing a placement tool used in decision support for the placement of mobile phone base stations. In 2001, he co-founded LME Design Automation, a venture capital-backed spinout to exploit an EDA synthesis suite that was been the prime focus of his University research at that time. One consequence of this startup was that he was awarded a Royal Society Industrial Fellowship to continue his work there until 2003. In 2004, he was appointed a Visiting Professor at the University of Trondheim, Norway, and spent time there integrating the simulation and synthesis work of the previous two startup companies. In 2008 he was appointed a Visiting Professor at the Computing Laboratory, University of Cambridge, UK. He was head of the Design Automation Research Group at Southampton from 1993 to 2007, when he became involved in the Manchester SpiNNaker system, and was able to obtain EPSRC support to allow him to work full time on the project, relinquishing all teaching, supervision and management responsibilities. The human brain remains as one of the great frontiers of science – how does this organ upon which we all depend so critically, actually do its job? A great deal is known about the underlying technology – the neuron – and we can observe in vivo brain activity on a number of scales through techniques such as magnetic resonance imaging, neural staining and invasive probing, but this knowledge - a tiny fraction of the information that is actually there - barely starts to tell us how the brain works, from a perspective that we can understand and manipulate. Something is happening at the intermediate levels of processing that we have yet to begin to understand, and the essence of the brain's information processing function probably lies in these intermediate levels. One way to get at these middle layers is to build models of very large systems of spiking neurons, with structures inspired by the increasingly detailed findings of neuroscience, in order to investigate the emergent behaviours, adaptability and fault-tolerance of those systems. What has changed, and why could we not do this ten years ago? Multi-core processors are now established as the way forward on the desktop, and highly-parallel systems have been the norm for high-performance computing for a considerable time. In a surprisingly short space of time, industry has abandoned the exploitation of Moore’s Law through ever more complex uniprocessors, and is embracing a 'new' Moore's Law: the number of processor cores on a chip will double roughly every 18 months. If projected over the next 25 years this leads inevitably to the landmark of a million-core processor system. Why wait? We are building a system containing a million ARM9 cores - not dissimilar to the processor found in many mobile phones. Whilst this is not, in any sense, a powerful core, it possesses aspects that make it ideal for an assembly of the type we are undertaking. With a million cores, we estimate we can sensibly simulate - in real time - the behaviour of a billion neurons. Whilst this is less than 1% of a human brain, in the taxonomy of brain sizes it is certainly not a primitive system, and it should be capable of displaying interesting behaviour. A number of design axioms of the architecture are radically different to those of conventional computer systems - some would say they are downright heretical. The architecture turns out to be elegantly suited to a surprising number of application arenas, but the flagship application is neural simulation; neurobiology inspired the design. · How can massively parallel computing resources accelerate our understanding of brain function? · How can our growing understanding of brain function point the way to more efficient parallel, fault-tolerant computation? SpiNNaker is not just another large computing system. It incorporates - at a fundamental level - a number of unorthodox design paradigms. It is designed primarily to simulate large aggregates of neurons (a billion). To do this, a million cores are interconnected by a novel communication infrastructure - details are in the publications and the SpiNNaker website. This involves distributing the topology of the network to be simulated throughout the topology of the processor network itself. The sheer size of both the simulating and simulated networks means that any central overseer - in almost any capacity - is not really feasible, and pretty much every aspect of the whole simulation ensemble has to be self-assembling. Factoring in the estimated mean time between failures intrinsic to extremely large systems compounds the technical challenges, because the simulating system has to be able to modulate its behaviour - on the fly - in the light of component and communication failures whilst a simulation is in progress. Cooper, I., Wilson, P. R., & Brown, A. D. (2013). Rapid virtual prototyping of electric vehicles using DQ behavioral model of a brushless DC motor. Author's Original, 1-9. Thorbjornsen, B., White, N., Brown, A., & Reeve, J. (2010). Radio Frequency (RF) Time-of-Flight Ranging for Wireless Sensor Networks. Measurement Science and Technology, 21(3), 1-12. Sacker, M., Brown, A. D., Rushton, A., & Wilson, P. R. (2004). A behavioral synthesis system for asynchronous circuits. IEEE Transactions on Very Large Systems Integration (VLSI), 12(9), 978-994. Milton, DJD., Brown, AD., Zwolinski, M., & Wilson, PR. (2004). Behavioural synthesis utilising dynamic memory constructs. IEE Proceedings - Computers and Digital Techniques, 151(3), 252-264. Wilson, P. R., Ross, J. N., & Brown, A. D. (2004). Modeling Frequency Dependent Losses in Ferrite Cores. IEEE Transactions on Magnetics, 40(3), 1537-1541. Wilson, P. R., Ross, J. N., & Brown, A. D. (2004). Predicting Total Harmonic Distortion (THD) in Asymmetric Digital Subscriber Line (ADSL) Transformers using Simulation. IEEE Transactions on Magnetics. Wilson, P. R., Ross, N., & Brown, A. D. (2003). Microscope Laboratory for undergraduate courses in Integrated Circuit design and fabrication. Proceedings of the Royal Microscopy Society, 38(4). Wilson, P. R., Ross, J. N., & Brown, A. D. (2002). Magnetic Material Model Characterization and Optimization Software. IEEE Transactions on Magnetics, 38(2), 1049-1052. Wilson, P. R., Ross, J. N., & Brown, A. D. (2002). Simulation of Magnetic Component Models in Electric Circuits including Dynamic Thermal Effects. IEEE Transactions on Power Electronics, 17(1), 55-65. AD, B., JN, R., & KG, N. (2001). Time-Domain Simulation of Mixed Nonlinear Magnetic and Electronic Systems. IEEE Transactions on Magnetics, 37(1), 522-32. Nicolici, N., Al-Hashimi, B. M., Brown, A. D., & Williams, A. C. (2000). BIST Hardware Synthesis for RTL Data Paths Based on Test Compatibility Classes. IEEE Transactions on CAD, 19(11), 1375-1385. Zwolinski, M., Garagate, C., Mrcarica, Z., Kazmierski, T. J., & A.D, B. (1995). Anatomy of a simulation backplane. IEE Proc.-Comput. Digit. Tech, Vol. 1. Brown, AD., Nichols, KG., & Zwolinski, M. (1995). Issues in the design of a logic simulator: an improved caching technique for event-queue management. IEE Proceedings - Circuits, Devices and Systems, 142(5), 293-298. Baker, K. R., Brown, A. D., & Currie, A. J. (1994). Optimisation Efficiency in Behavioural Synthesis. IEE Proceedings-G: Circuits, Devices and Systems, 141(5), 399-406. Nichols, K. G., Kazmierski, T. J., Brown, A. D., & Zwolinski, M. (1994). Overview of SPICE simulation algorithms. IEE Proc. Circuits, Devices and Systems, v. 141(no. 4), 242-250. Baker, K. R., Currie, A. J., & Brown, A. D. (1994). VHDL as a Behavioural Language. Advances in Modelling and Analysis B, 30(3), 49-55. Brown, A. D., Zwolinski, M., Nichols, K. G., & Kazmierski, T. J. (1992). Confidence in Mixed-mode Circuit Simulation. Computer-Aided Design, v. 24(2), 115-118. Claverol, E. T., Cannon, R. C., Chad, J. E., Brown, A. D., & Mastorakis, N. E. (Ed.) (1999). Event based neuron models for biological simulation: a model of the locomotion circuitry of the nematode C. elegans. World Scientific Engineering Society Press. Brown, A., Thomas, D., Reeve, J., Tarawneh, G., De Gennaro, A., Mokhov, A., ... Kazmierski, T. (2018). Distributed event-based computing. In Proceedings of ParCo 2017: Parallel Computing is Everywhere (Advances in Parallel Computing; Vol. 32). IOS Press. Brown, A., Reeve, J. S., Dugan, K. J., & Furber, S. B. (2015). Discrete event-based neural simulation using the SpiNNaker system. Paper presented at Communicating Process Architectures 2015, United Kingdom. Dugan, K. J., Reeve, J. S., & Brown, A. D. (2012). SpinLink: An interconnection system for the SpiNNaker biologically inspired multi-computer. 52-58. Paper presented at UK Electronics Forum 2012, United Kingdom. Brown, A. D., Furber, S. B., Reeve, J. S., Wilson, P. R., Zwolinski, M., Chad, J. E., ... Lester, D. R. (2010). A communication infrastructure for a million processor machine. 75-76. Poster session presented at Proceedings of the 7th ACM international conference on Computing frontiers, . Brown, A., Lester, D., Plana, L., Furber, S., & Wilson, P. (2009). SpiNNaker: the design automation problem: the design automation problem. In Advances in Neuro-Information Processing. ICONIP 2008 (pp. 1049-1056). (Lecture Notes in Computer Science; Vol. 5507). Springer Berlin Heidelberg. Ali, S., Wilson, P., Wilcock, R., & Brown, A. (2008). A New Approach for Combining Yield and Performance in Behavioural Models for Analogue Integrated Circuits. Design Automation and Test in Europe (DATE), . Wilson, P., & Brown, A. (2008). Effective Modeling of Leakage Inductance for use in Circuit Simulation. Paper presented at Applied Power Electronics Conference, United States. Ali, S., Wilcock, R., Wilson, P., & Brown, A. (2008). Yield Model Characterization For Analog Integrated Circuit Using Pareto-Optimal Surface. IEEE International Conference on Electronics, Circuits, and Systems, Malta. Ali, S., Wilcock, R., Wilson, P., & Brown, A. (2008). Yield Model Characterization for Analogue Integrated Circuit Using Pareto-Optimal Surface. CDNLive 2008, Germany. Bailey, J., Wilson, P. R., Brown, A. D., & Chad, J. (2007). Behavioural simulation of biological neuron systems using VHDL and VHDL-AMS. IEEE Behavioural Modeling and Simulation, United States. Rodamporn, S., Beeby, S., Harris, N., Brown, A., & Chad, J. (2007). Design and Construction of a Programmable Electroporation system for Biological Applications. 234-238. The 1st Symposium Thai Biomedical Engineering, Thailand. Rodamporn, S., Beeby, S., Harris, N., Brown, A., Hill, M., & Chad, J. (2007). Microfluidic system for cell transfection using sonoporation and ultrasonic particle manipulation. 57. Paper presented at International Conference on Cellular & Molecular Bioengineering, . Ali, S. M., Wilson, P. R., & Brown, A. D. (2007). Yield Predictive Model Characterization in Analog Circuit Design. International Synposium on Integrated Circuits 2007, Singapore. Wilson, P. R., Al Hashimi, B., Brown, A. D., & Zwolinski, M. (2006). A Masters Course in System on Chip. 11-14. Paper presented at European Workshop on Microelectronics Education, . Modi, S., Wilson, P., & Brown, A. (2006). Power Aware Learning for Class AB Analogue VLSI Neural Network. Paper presented at IEEE International Symposium on Circuits and Systems (ISCAS 2006), Greece. Wilson, P. R., Swabey, M., Brown, A. D., & Ross, J. N. (2005). An Intelligent Fuse-box for use with Renewable Energy Sources integrated within a Domestic Environment. Paper presented at World renewable Energy Congress, United Kingdom. Wilson, P. R., Brown, A. D., Wilcock, R., & Al-Hashimi, B. (2005). Behavioural modeling and simulation of a switch-current phase locked loop. Paper presented at IEEE International Behavioral Modeling and Simulation Conference, United States. Wilson, P. R., & Brown, A. D. (2005). DES in 4 days using behavioural modeling and simulation. Paper presented at IEEE International Behavioral Modeling and Simulation Conference, United States. Yee, T. B., Zwolinski, M., & Brown, A. D. (2005). Multi-FPGA Synthesis with Asynchronous Communication Subsystems. Paper presented at IFIP International Conference on Very Large Scale Integration (VLSI-SOC 2005), . Modi, S., Wilson, P., & Brown, A. (2005). Power scalable implementation of artificial neural networks. Paper presented at IEEE International Conference on Electronics, Circuits and Systems (ICECS), Tunisia. Sacker, M., Brown, A. D., Rushton, A., & Wilson, P. R. (2004). A general purpose behavioural asynchronous synthesis system. Paper presented at International Symposium on Asynchronous Circuits and Systems, Greece. Modi, S., Wilson, P. R., Brown, A. D., & Chad, J. E. (2004). Behavioral Simulation of Biological Neuron Systems in SystemC. IEEE Workshop on Behavioural Modeling and Simulation (BMAS), United States. Brown, AD., & Zwolinski, M. (2004). Behavioural modelling of analogue faults in VHDL-AMS - A case study. V632-V635. Paper presented at 2004 IEEE INTERNATIONAL SYMPOSIUM ON CIRCUITS AND SYSTEMS, Canada. Wilson, P. R., Ross, N. J., Brown, A. D., & Rushton, A. (2004). Multiple Domain Behavioural Modeling using VHDL-AMS. Paper presented at IEEE International Symposium on Circuits and Systems, Canada. Swabey, M. A., Beeby, S. P., Brown, A. D., & Chad, J. E. (2004). Using Otoacoustic emissions as a biometric. In D. Zhang, & A. K. Jain (Eds. ), Biometric Authentication (pp. 600-606). (Lecture Notes in Computer Science; Vol. 3072). Springer. Swabey, M., Beeby, S., Brown, A., Chad, J., Zhang, D. (Ed. ), & Jain, A. N. (Ed.) (2004). Using Otoacoustic Emissions as a Biometric. 600-606. First International Conference on Biometric Authentication (ICBA 2004), . Wilson, P., Mantooth, A., & Brown, A. (2003). Standard VHDL 1076.1.1 Packages for Multiple Energy Domain Support. Paper presented at IEEE Behavioural Modeling and Simulation, United States. Brown, AD., & Zwolinski, M. (2003). The continuous-discrete interface - What does this really mean? - Modelling and simulation issues. 894-897. Paper presented at IEEE INTERNATIONAL SYMPOSIUM ON CIRCUITS AND SYSTEMS, Thailand. Wilson, P. R., Kilic, Y., Ross, J. N., Zwolinski, M., & Brown, A. D. (2002). Behavioural Modelling of Operational Amplifier Faults using VHDL-AMS. 1133. Paper presented at Design, Automation and Test in Europe, . Wilson, P. R., Ross, J. N., Markvart, T., & Brown, A. D. (2002). Development of model library for microgrid simulation. Paper presented at Second International Symposium on Distributed Generation: Power System and Market Aspects, . Wilson, P. R., Ross, J. N., & Brown, A. D. (2002). Simulation of Magnetic Components in Electric Circuits using a coupled SPICE-Finite Element Analysis approach. Poster session presented at Computational Electromagnetics, . Wilson, P. R., Ross, J. N., Brown, A. D., & Chapman, P. (2001). Experience of Behavioural Modeling in the Mixed-Signal ASIC Design Process - a Case Study. Paper presented at BMAS, . Wilson, P. R., Ross, J. N., & Brown, A. D. (2001). Magnetic Material Model Optimization and Characterization Software. Paper presented at Compumag, . Wilson, P. R., Ross, J. N., Kazmierski, T. J., & Brown, A. D. (2001). VHDL-AMS Editor and debugger for Analogue and Mixed Signal Models (VEDAMS). Paper presented at FDL, . El-hami, M., Glynne-Jones, P., James, E. P., Beeby, S. P., White, N. M., Brown, A. D., & Hill, M. (2000). A new approach towards the design of a vibration-based microelectromechanical generator. In Proceedings of The 14th European Conference on Solid State Transducers (Eurosensors 2000) (pp. 483-486). Denmark: Eurosensors 2000. El-hami, M., Glynne-Jones, P., James, E., Beeby, S. P., White, N. M., Brown, A. D., & Hill, M. (2000). A new approach towards the design of a vibration-based microelectromechanical generator. Paper presented at Eurosensors XIV, . Williams, A. C., Brown, A. D., & Zwolinski, M. (2000). A VHDL Behavioural Synthesis System Featuring Simultaneous Optimisation of Dynamic Power, Area and Delay. 23-30. Baidas, Z. A., Brown, A. D., & Williams, A. C. (2000). A VHDL Behavioural Synthesis System with Floating Point Support. 31-36. Paper presented at Forum on Design Languages 2000 (FDL 2000), . Glynne-Jones, P., El-hami, M., Beeby, S. P., James, E. P., Brown, A. D., Hill, M., & White, N. M. (2000). A vibration-powered generator for wireless microsystems. Paper presented at International Symposium on Smart Structures and Microsystems (IS3M 2000), Hong Kong. Sacker, M., Williams, A. C., & Brown, A. D. (2000). Case Study: Comparing Behavioural with RTL Synthesis in the Development of a Programmable Digital Filter using VHDL. 53-59. Wilson, P. R., Ross, J. N., & Brown, A. D. (2000). Dynamic Electrical-Magnetic-Thermal Simulation of Magnetic Components. 286-291. Paper presented at IEEE Workshop on Computers in Power Electronics, United States. Milton, D. J. D., Brown, A. D., & Williams, A. C. (2000). Dynamic Memory Allocation in a VHDL Behavioural Synthesis System. 45-52. Brown, A. D., & Williams, A. C. (2000). The MOODS Behavioural Synthesis System. 17-22. Williams, A. C., Brown, A. D., & Baidas, Z. A. (1998). Hierarchical Module Expansion in a VHDL Behavioural Synthesis System. Baker, K. R., Zwolinski, M., & Brown, A. D. (1995). Concurrent Testing of Latent Modules in Synthesized Systems. 196-200. 1st IEEE International On-Line Testing Workshop, France. Nichols, K. G., Kazmierski, T. J., Zwolinski, M., & Brown, A. D. (1993). Reliability of circuit-level simulation,. Proc. IEE Colloquium on SPICE, . Kazmierski, T. J., Nichols, K. G., Brown, A. D., & Zwolinski, M. (1992). A general-purpose network solving system. In A. Halaas, & P.B. Denyer (Eds. ), IFIP Transactions (pp. 147-156). (A1). North-Holland,. Currie, A. J., & Brown, A. D. (Ed.) (1991). High-level Simulation. 351-366. VLSI Circuits and Systems in Silicon, . Brown, A. D., Zwolinski, M., & Redman-White, W. (1990). Mixed mode simulation of oversampled A/D converters.